"You can see in my smile that David takes great pride in his work." "I highly recommend these good people to anyone with denture needs." "David does an amazing job at making your smile look natural." "The staff here is very friendly and I am proud of my new smile." "I had a great experience, I feel so much better, and I was treated with respect." David Hill, DPD, President and CEO of Denture Services Northwest, Inc and Joseph (JB) Kimmel, LD, RDA – associate, provide dentures that improve both smiles and lives at Denture Services Northwest Inc. in Lakewood, Washington. The denturists instill confidence in patients who can be proud of their appearance. 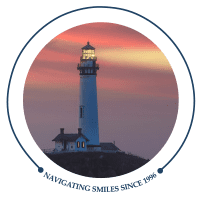 The professionals at Denture Services Northwest keep it simple when it comes to their commitment to their patients: provide an affordable, high-quality denture crafted to your treatment needs, and deliver care with compassion, dignity, and respect. Both David and JB take into account that replacing your natural teeth means more than trusting someone with your smile; it’s entrusting someone with your overall appearance. Denture Services Northwest creates full, partial, and immediate dentures, as well as implant overdentures; they also repair and reline existing dentures. "This office is absolutely amazing!!!! You get the feeling of family and friendship in the amazing atmosphere. I will always recommend this place." "After years of embarrassing moments and not having enough confidence.... this office was able to help give me my smile back... the office staff was so nice." "David is a god...he fixed my self esteem for life what better present and he worked super hard to get my teeth to me by xmas... u guys are woderful." "I would like to express from my heart deep appreciation for the time, care and expertise you put into my teeth. I have not been this happy with my smile in 30 years." "Your denture services are a very appreciated act of compassion and humanity. Your services will never be forgotten." "Thank you for the great dentures. They fit well and I am able to eat what ever I want! They look good and when I tell my friends they agree that they look great!"